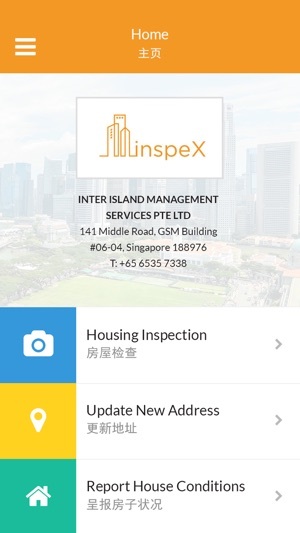 InspeX Mobile app is specially designed by Inter Island Management Service Pte Ltd to ease the trouble of having to perform site inspection physically and at the same time, gives company the up-to-date information about the employees' housing conditions. 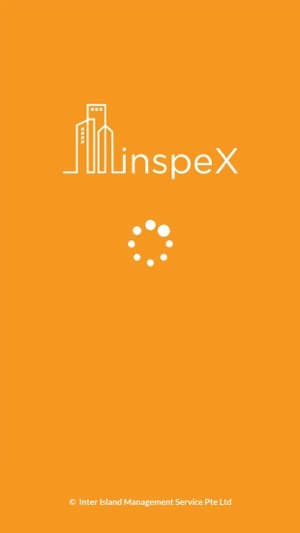 Inspex is a Inspection Corporate System, connecting company and employees at the touch of a button. 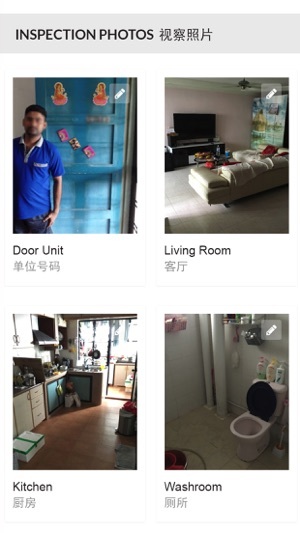 - Ensure foreign worker dormitory meets housing standards set by the government. - Reduce company's concerns over unsatisfactory and unacceptable housing standards. - Help employers to comply with Ministry of Manpower (MOM) foreign labour housing requirements. - Enhance Employees' awareness on MOM housing rules and regulations by practising self-inspection. What makes inspeX very unique? 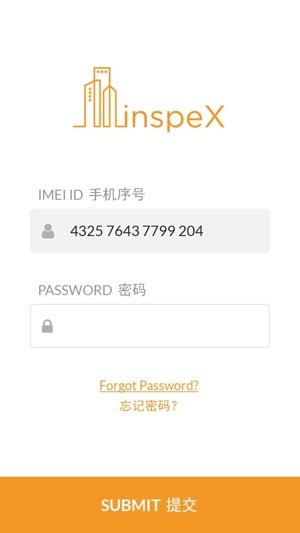 Use of IMEI of assign unique serial number to an individual mobile phone for security protection. Use of mobile GPS to determine user's estimated current location. 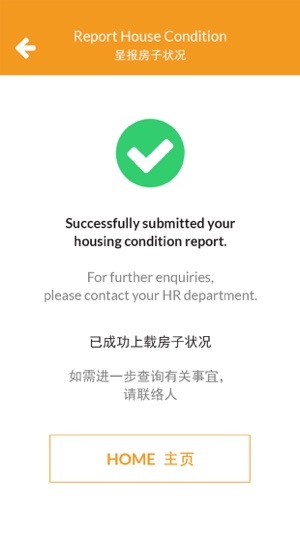 Company HR is able to send alerts to employees regarding housing inspection and retrieve report information easily. About Inter Island Management Service Pte Ltd.
- Reputable one-stop foreign worker dormitory and housing management company offering suite of services such as housing, air tickets, and labour. - Have worked with notable companies in the manufacturing and service sectors. - Fully compliance with government organizations such as HDB, URA, JTC, and MOM; adhering to strict rules and regulations.